Yesha Council head says PM is being cautious, but there is no building freeze, and that the Amona replacement is moving along. 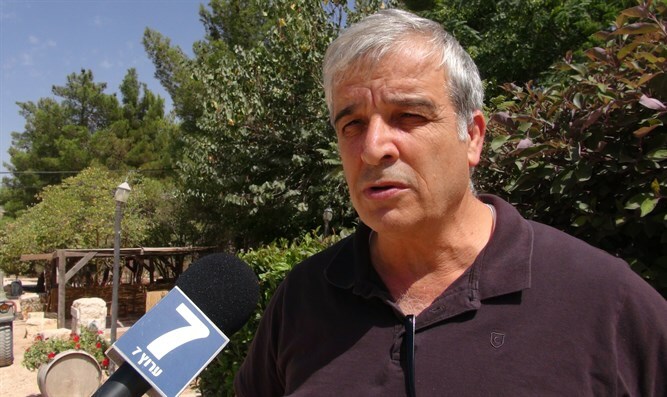 Yesha Council chairman and head of the Binyamin Regional Council, Avi Roeh, rejected the claims that there is a building freeze in Judea and Samaria in an interview with Arutz Sheva Wednesday evening. "After eight years, Obama stood on his head and said to us, 'Not even one brick' - now there is a new administration and we all experienced the visit of the new president - so there is an expectation that everything will open up," Roeh said. "There were technical failures in the Civil Administration regarding the settlement, and the prime minister looked us in the eye and explained that he wanted to conduct himself wisely, because the American administration is affected by this issue, and we want to work gently. And what about Amona? Everything seems to be happening slowly. "It's not something immediate. It's not another hill with caravans. There's a new settlement called Amichai, and I say here, in a clear voice, that the process is progressing at a proper pace, but it does feel like things are stuck. But it will go up." Roeh added that he is not too concerned about the country's desire for a diplomatic process with the PA.
"We have been involved in this political process for the last 50 years, with prime ministers and presidents coming and going. Our job as the leaders of the settlement is to take care of settlement, and there is a president who wants to find solutions to the conflict - and I say this is nonsense - but the president wants to try and we cannot tell him not to try. In this in is important that we say what we have to say. And what about the 300 housing units in Beit El. This promise was not fulfilled. "There was an agreement with the prime minister that every ten houses [which were destroyed] would be replaced by 30 houses. Unfortunately, this has not happened, so my friend, the head of the council, Shai Alon, decided to do something. It's not about freezing - if something is agreed, we have to [make sure it is] kept. Did you hear the words of a MK FROM United Torah Judaism that the Palestinians were here before us? "I heard that he also said that they did not understand him. It is a terrible statement, especially from someone who is a Torah scholar, and if he admits that it was a mistake, then he will admit it and that will be that."